Do You Need Legal Assistance From Trusted And Compassionate Truck Accident Personal Injury Lawyers And Wrongful Death Claim Attorneys In Inglewood, CA? 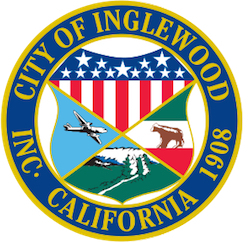 2013 Fatal Crashes and Road Traffic Accident Statistics for Inglewood, Los Angeles County, CA. Truck and car accidents in Inglewood can cause devastating injuries, property damage and sometimes deaths resulting in a wrongful death accident claim. If you or a loved one was injured, then contact our experienced and very reliable truck accident personal injury lawyers for complete legal assistance during your case, including help with medical care, property damage repair, advice and representation to recover maximum compensation for your damages, whether you or a loved one was injured in a truck, car, motorcycle or any other kind of accident in Inglewood, Los Angeles or anywhere else California. 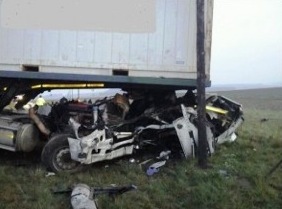 A truck accident may only take a few seconds, but it has the ability to change someone’s life forever. In many truck accidents cases, people are left struggling with debilitating injuries, damage to property, loss of income and more. Truck accident victims often fight their personal injury case alongside taking care of their injuries, keeping up with hospital and other medical bills, loss of income and other personal damages. But, you don’t have to do all this alone. You can contact us, for an ABSOLUTELY FREE & CONFIDENTIAL CASE CONSULTATION. For more information on our experienced truck accident personal injury law firm and lawyers, please visit our home page. To know about our truck accident attorneys, feel free to check our lawyer profiles and our personal injury & wrongful death case testimonial pages. To get in touch with our personal injury lawyers immediately, please call us at 818-222-3400 or 1.866 INJURY 2, or simply click here for our 24/7 contact information, for your FREE & CONFIDENTIAL case consultation and case evaluation. Inglewood is a city in southwestern Los Angeles County, with a population of 109,673, according to the U.S Census 2010. 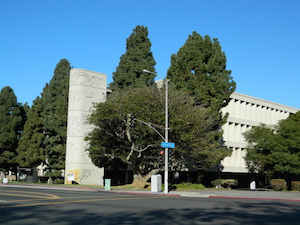 Located southwest of downtown Los Angeles, the city of Inglewood was incorporated on February 14, 1908. 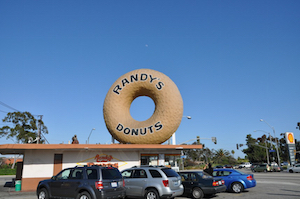 Inglewood is in the South Bay region of the Greater Los Angeles Area. Notable people who were born in Inglewood include Tyra Banks, Brian Wilson, Becky G, Cindy Sheehan and many more. Inglewood used to be home of the Los Angeles Lakers at the fabulous Forum until the Lakers moved to Staples Center in downtown Los Angeles where the Lakers, Clippers and Kings now play. 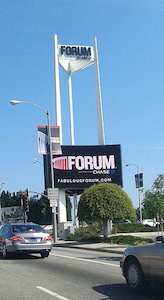 The Forum was refurbished and now is a terrific location to hear concerts. In addition, Inglewood, as of time of writing this in 2015, is seeking to be the new home of the Los Angeles Rams. A truck accident can be fatal, and often leads to debilitating injuries inflicted on drivers and passengers who were seated in smaller vehicles like cars, motorcycles, bicycles and even pedestrians. These accidents often occur because of a negligent truck driver, who may break the rules regarding driving distances without proper breaks or improper vehicle inspection and maintenance simply to earn a quick buck. Our experienced truck accident personal injury lawyers offer successful handling of your truck accident personal injury claims and wrongful death claims in Inglewood and all around Los Angeles and California. 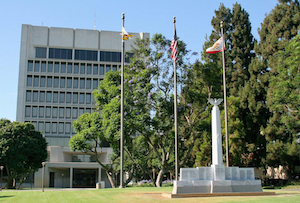 We offer over 40 years of experience in successful handling of countless truck accident, car accident, or other personal injury claims and wrongful death cases throughout Inglewood, Los Angeles and all of California. We provide immediate help with medical care, specialists, MRIs and other scans, property damage repair and settlement, loan cars, monetary advances, medications, prescriptions, etc. We earned the title of Personal Injury Attorney of Years 2010 and 2014 & Personal Injury Law Firm of Years 2011 and 2014; and were selected to Top Lawyers in California based on ethics and professionalism. Our truck accident attorneys offer a FREE & CONFIDENTIAL consultation and we work on contingency fees which mean there is NO fee until you WIN! Free Consultation & Case Evaluation on Truck Accident and Other Personal Injury Accident Claims in Inglewood, Los Angeles and Calif.
To know more about how we can assist you in protecting your rights and comply with required time deadlines, DMV regualtions and other rules, please contact us now for your FREE case consultation and/or evaluation. For another quick and easy way to contact us, fill-out your case details in our contact us form and tell us all about your Inglewood, Los Angeles or California truck accident personal injury case or details of a wrongful death claim of a loved one anywhere in Inglewood, Los Angeles or California..
FREE & CONFIDENTIAL Injury Case Consultations! Contingency Fees – No Fee Until You Win!